My children are (generally) well-behaved. People comment on it when we’re out and about. It’s a fact. And it’s not by accident. I work really, really hard to train my children to be polite, kind, respectful, helpful, godly. Because I have all kinds of mothering weaknesses too. I struggle with patience (especially when I’m hungry; that may sound funny/trivial, but I have finally figured out that I am a better mother with enough food in my stomach, and I will sometimes ask my children to not talk to me–as much as possible–until I can eat. H-anger is a real thing, yo). I require them to clean their rooms, even when mine is a mess (I justify this by the fact that I am cleaning the rest of the house, but…they’re helping with that too; so I’m basically being a hypocrite). I sometimes, ahem, raise my voice (euphemism alert) despite my best efforts not to. Oh! And my sock game? Is TERRIBLE. Someone on our Facebook page asked me for a #mamalifehacks tip for keeping up with socks, but I didn’t have one. And then someone else explained her efficient (and somewhat involved) system, and I almost cried laughing at the thought of the effort that she puts into socks that I just never will. Honestly, it probably doesn’t feel like that much effort to her because she was clearly born with a penchant for organization that I am lacking. But I admire her so much for her dedication to keeping her kids’ clothes in line. We do fine, but I’m certainly not going to give out any tips there. I could go on, but I think I’ve probably at least convinced you that I am aware of my shortcomings as a mother. The twins were dream babies/little toddlers. Happy, smiley, great sleepers, cuddlers, easygoing, and so, so fun! Pretty much the opposite of what I expected when I begged the Lord not to give me multiples. And then they hit 2 and 3/4. I know that seems like a really specific age. But it’s the truth. They were still really easy and cheerful all the way until a few months before their 3rd birthday. And then, Shaun started traveling a lot (like 7 straight weeks of being gone most weekdays), and they. just. lost. it. (I don’t actually think their change in behavior was particularly related to Shaun’s traveling…but I doubt it helped. It certainly didn’t help me ). I started getting heart palpitations at the thought of putting them in their car seats because they were especially volatile when we got in the van to go somewhere (which was pretty much every day). At first, I thought, “Eh. Not my fave.” But after weeks of it, it literally gave me anxiety. I know there are people who have actual, real life problems to deal with. Serious illnesses. Deaths in the family. Wrongful imprisonment for declaring their faith. The list goes on. But maybe even the people who are dealing with those hardships would find a writhing, shrieking, body-slamming toddler X 2 a bit of a frustration, at least. For the last year or so, most things that I thought I knew about child-training have been tested and challenged for months at a time by two of the strongest-willed little darlings you ever did see (says the mom of a little boy who willfully constipated himself and was a very grouchy little human indeed for a year). There have been calms in the storm (praise Jesus), but just when I think we’ve finally moved beyond it, we’ll go through another month-long bout of car tantrums and meltdowns over being handed the pink blanket when a certain little girl asked for the pink blanket (yes, you read that right). (If you’re in need of a laugh, read this hilarious list of laughably ludicrous toddler meltdown rationales). I have pulled out every trick in the book–discipline, reason, hail-Mary prayers, praying before we leave, bribery (“If you are sweet in the car, we can get a piece of gum after we get to the gym”), misdirection (“OHMYGOODNESS, is that a red-tailed fuzzy wiggle in that field over there? !”), hugs, spankings, timeouts, talking-to’s, and raging like a mad bull. And it’s all worked. For a little while. But any one solution never lasts for very long on its own (I’ll be honest: the spankings, the “discussions,” the prayers, and the hugs are consistent; the rest is a constant process of recycling different methods to keep things as “fresh” and effective as possible). I’ve never felt despair. I am fully aware that, no matter how long this phase lasts, it is just that: a phase. I have vast confidence that my twins will not rail against the injustices of seat belts at the top of their (considerable) lungs when they’re 12 (I know, I know; I’ll have other things to worry about). In fact, we’ve had considerably fewer car catastrophes lately, and the trend seems to be towards an ability to hear just a sliver or two of reason in the midst of the mind-melting horror of a not-perfectly-straight sock line. I’m not holding my breath (I’d pass out), but I am learning a lot about humility. I didn’t really think I needed it (do we ever? ), what with the litany of things I already knew that I needed to work on as a mother. But I do. Because, as it turns out, I have a stronghold of pride in my mothering ability to train my child to behave as they should (and, yes, we emphasize “as unto the Lord;” I focus at least as much on the heart attitude and motivation behind the behavior as on the behavior itself). But the thing is that I wouldn’t even react to this lady’s comment (even if only in my head) if I didn’t care what she thought about me and my ability to control my toddlers’ behavior. Maybe you have a stronghold of motherly pride too? I’d wager that, even the most self-deprecating of mamas can find at least one thing we pride ourselves in doing well. Chances are, we’re probably right on. We ARE good at XYZ. I can guarantee you this, though: God is in the business of tearing down strongholds. Oh, friends. I need grace. Buckets of it. Dump truck loads. And, if my stronghold of motherly pride keeps me from receiving it, well, that’s a bigger tragedy than spilled chocolate milk, car seat buckles, the wrong/right blankie, and the crookedest of sock lines combined. I am doing nothing here, guys, if not preaching to my own heart. I need these reminders. I need this blog post as an “Ebenezer” to come back and read when (inevitably) the girls have another week-long episode of being twinados. Because I am beginning to see glimmers of light at the end of this twin tantrum tunnel, and I’m finding that my tried and true of methods of gritting my teeth, praying like mad, and never. giving. up are, indeed, working…if somewhat more slowly than I would like. (Well, that, and owning up to my own faults that can contribute to the chaos). Even as I see my cheerful 13-month-old begin to arch his back and wail whenever something doesn’t quite go his way. And the phrase: “Here we go again” rattles through my brain. Because, if I place my hope/pride/self-worth in my ability to train my children to “do right”–regardless of how well it comes naturally to me–all of that will come crashing down on a daily basis, depending on which child I’m dealing with, how much either one of us has slept, how hungry I am, or any other number of unforeseeable factors. Even (especially?) if that transgression is being proud of myself for doing something right as a mother. I almost feel bad posting this…pretty much because it is completely unrelated to every other comment here. But…socks. So. Many. Socks. My #mamalifehqck is a two-step process: 1) Go to the store and 2) Buy new socks. I jest. 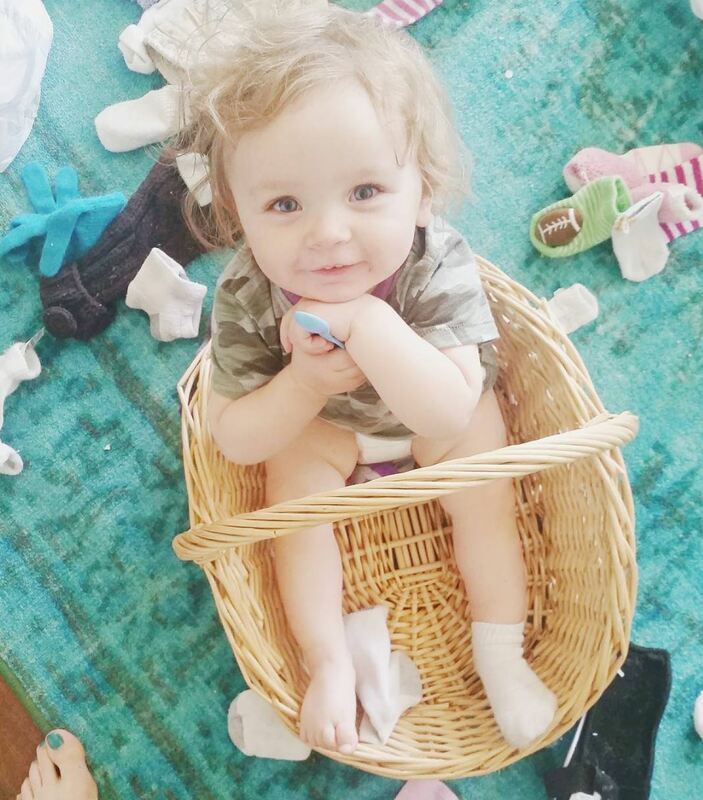 But really, I bought several dollar-store baskets for my kids to dedicate to socks. When they’re full, I stuff all the dirty socks into lingerie laundry bags (so they don’t get lost or separated) and wash them. I’ve not lost a sock yet. OK big breaths sweet Mama…. THEY DO GROW OUT OF IT – I promise…. My twinnies are 9 and I well remember the double crying all the way around the supermarket ( I’m sure they could easily track my path) and the double wills that I had to contend against. 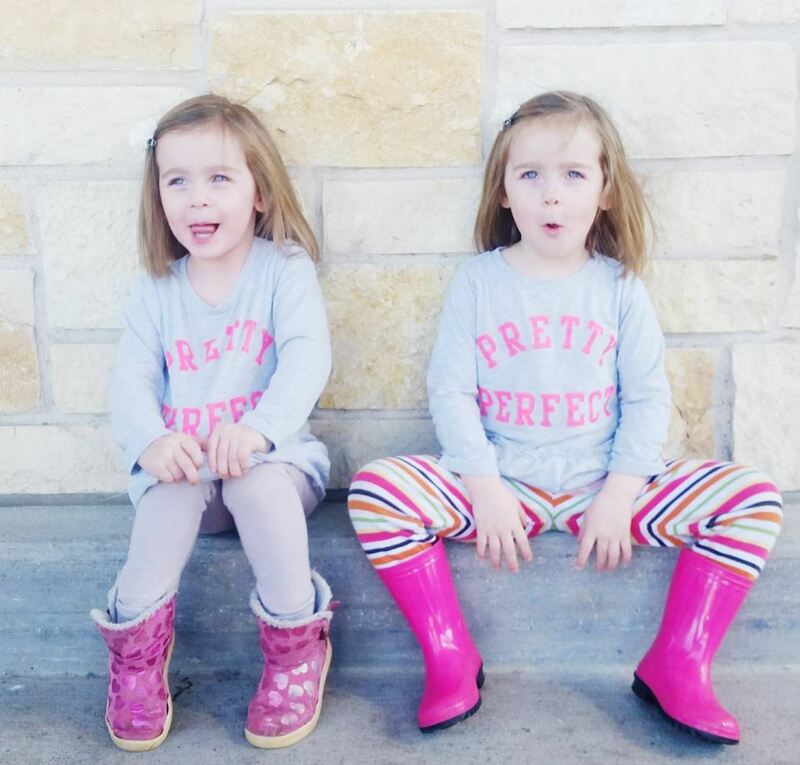 I had 4 kiddos in 3 years so I was a master at juggling little ones – or so I thought. However, when those two became toddlers I did wonder about my parenting abilities I’ve heard ( & I agree with) that twins are more difficult until they turn about 4. Then they have the advantage of a perfect playmate wherever they go. So just keep on with the training & they will come out of this stage. Of course if they don’t grow out of it there’s always boarding schools….kidding! Abbie, I’ve been following your blog for a while — I found it because at some stage I typed “twins mothering” or something into google — and I just want to say that I SO FEEL YOU. I have twin boys that are 3 3/4 and we just now feel like we have made it over a hurdle (I hope I didn’t speak too soon!). From 2 1/2 to 3 1/2 was the hardest year of my life — I bought so many books, read so many blogs, etc. 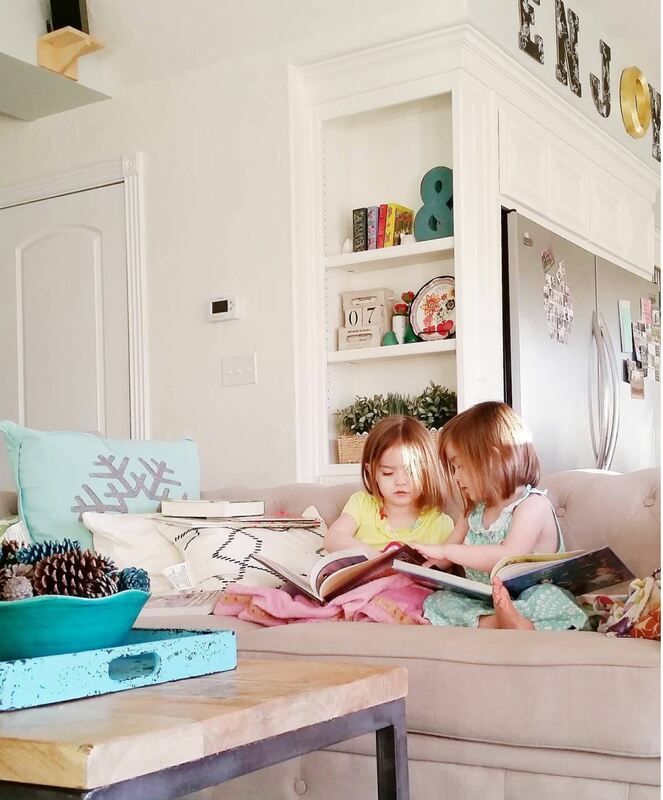 I hate to say that it has made me feel better to see another mother struggling, but honestly, reading your blog, seeing that you can handle a houseful of kids, and yet twins can unsettle you — well, it’s made me feel a bit at peace. Thank you for your honesty and for sharing. Oh, you’re not alone. The Lord knows how to throw some curve balls, for sure! I’m sure you have tried absolutely everything but I’ve been using a Love and Logic trick that works like magic. I have two willful ones (and a baby who has yet to show her true temperament yet). Giving choices in the face of a tantrum will dissolve most every fit in my experience. My kid will go from melting down to happy just with a couple easy little choices. Do you want to walk to the car or be carried? Do you want the top or the bottom buckled first? Do you want a toy or a book to hold? Give them about ten seconds to answer and if they don’t answer say would you like to choose or should I choose. If after another ten seconds they still don’t choose, tell them that you will choose this time. If they offer a third choice tell them that that wasn’t a choice this time. I swear it sounds like it would do nothing, but try it. Budding autonomy can be scary for three year olds. Mix that with the lovely little thing called a sin nature and you have the recipe for threenagers. Great ideas, Sarah! Honestly, I have lumped the twins together in this post to keep from singling one out, but the truth is that one of them is open to the kind of Love and Logic techniques that you’re talking about, and the other is…not. When they’re both having an off day…that’s where the twin issues make the whole meltdown business all that much more nerve-shredding. But, really, it’s the one twin who defies all definitions of strong-willed/unreasonable that I have encountered to date (and we went through stages of both with all three kids before her, for sure). I think the biggest factor that you mentioned that this particular twin just cannot handle is the (lack of) wait time. When we’re at home, we can give options, wait patiently, etc., and then if she continues her tantrum unabated (not uncommon with her), punish accordingly. But when I’m on a deadline of somewhere I need to be and 6 kids to herd into the car (a daily occurrence), the option to wait 10 seconds, ask again, wait 10 more seconds, etc. just isn’t feasible. I can’t allow her to make me late, and there are a lot of other little bodies to coordinate/schedule. So, we’ve been working on giving her as much “lead time” as possible, but, while it definitely helps, sometimes, she’s just grouchy, and there are zero options and zero amounts of wait time that make her feel better at that exact moment. Combine that with operating a moving vehicle and being unable to look her in the eyes, and it makes for a more challenging than usual situation. I can already see improvements in her ability to control her emotions, but we’re not there yet. We will though, by God’s grace. Anyway, all that to say that, yes, I agree. That desire for autonomy plus the inability to fully execute it plus sin nature = trouble for sure. I encountered that with all three of my oldest kids at various points, but this particular little girl is a special challenge from the Lord. My youngest is having surprise rage tantrums and he to is at the 2 3/4 year old mark. Interesting!!! He gets in trouble/tests my patience soooo much more often than my first does. I only have 2 boys and I admire you with 6 kiddos. You go sister! Nothing wrong with patting yourself on the back! Sounds like you’re doing a great job! As sorry as I am that you’re having a rough phase with your twins, I’m also happy to hear someone going through the same struggles as I am! I have 2 boys and my oldest has mostly been a breeze- very easy going, agreeable, always wants to do the right thing. My second just turned 3 this past weekend and he’s been in this same phase for several months now. Sometimes it seems like all I do is discipline him! He is incredibly strong willed. Even the lady in our church nursery who has watched children longer than I’ve been alive told me I had my hands full with him! But, I know that God can use a strong willed little boy and eventually man to do a lot of his work! I’m just praying and holding on to “it’s just a phase”! Yup! The Lord can definitely use the strong-willed ones! And…this too shall pass! I just started reading your blog recently. I’m pretty sure we’re twins, btw. My daughter saw one of your Instagram pictures of you in the car with your brood behind you and said: “hey, she looks like you.” My husband agreed. Not just in amount of kids but looks too. I find the hardest comments to humbly respond to are “wow you are so lucky to have such well behaved children. Just wait until they’re teenagers.” My pride is offended that they don’t give me credit for training my children. no…my kids aren’t magically agreeable. This took work. And I’m offended that they think it will all crumble apart when they get to some magic age. My pride says I can hold them all together in a tight, beautiful, respectful package until they’re adults. My mom says “God raises our kids in spite of us.” Gods grace is bigger than our successes or failures! If it was truly just up to us our kids would be so messed up!!! Thanks for sharing! This was so good for me to read! I have a 9 month old who is my first child and he just started crawling everywhere and doing the arching-back thing when he doesn’t get what he wants :/ I have no experience with this disciplining thing but desperately want to raise him to be respectful, loving, serving and godly! Many times I let pride get in the way as well when so many people always tell me “he’s such a good baby”- then I get home and he starts the fits! I’ve been praying for God to remove my pride and keep me humble- I think He’s answering my prayers!